Beyond kosher dills, half-sours, and gherkins, a wide world of pickles awaits. 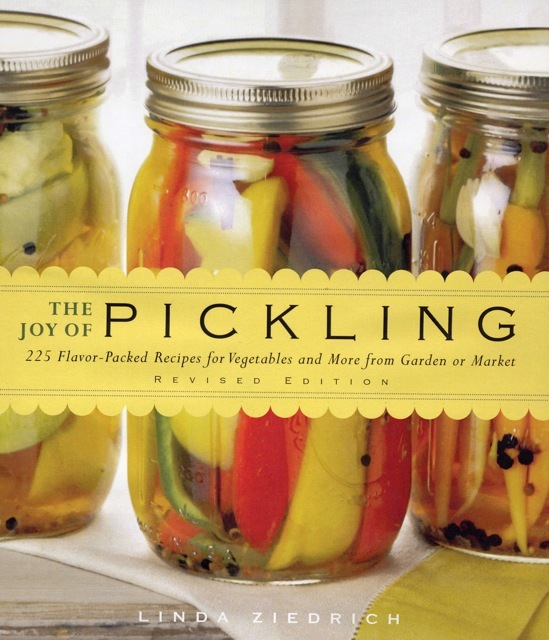 In a book that is expert, practical, and a joy to use, Linda Ziedrich explains the mysteries of pickling. Gardeners will find abundant recipes for the things they grow in surplus, like zucchini, tomatoes, peas, corn, and green beans, and cooks without gardens will find great ideas for what to do with produce that is in season and inexpensive in the market. Ziedrich shares imaginative recipes for every pickling style: fresh; fermented; sweet (including fruit pickles); quick; rice-bran or miso; and freezer. In these 200 recipes, there's a pickle to tickle every taste bud. Novices will find clear, up-to-date instructions and safety information along with step-by-step illustrations. For novices and veterans alike, the book is a comprehensive reference, with handy tables, troubleshooting charts, mail-order sources for supplies, and dozens of original recipes that can't be found in any other preserving guide.